The Freedom Foam Encased PT King 12" Pillow Top Mattress by Golden Mattress Company at Rooms Furniture in the Houston, Sugar Land, Katy, Missouri City, Texas area. Product availability may vary. Contact us for the most current availability on this product. 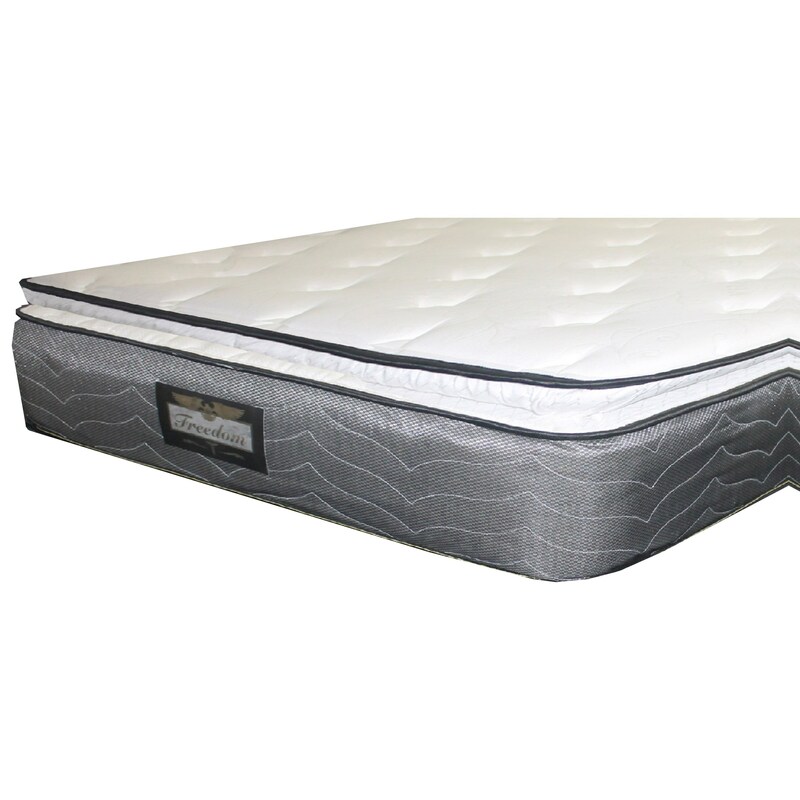 This Value Priced Pillow Top mattress has a foam encased spring unit, providing a stronger seating edge and more use of the mattress surface. With layers of super soft foam, you get a lot of mattress for your money. This is a very good value plush pillow top mattress. The Freedom Foam Encased PT collection is a great option if you are looking for Mattresses in the Houston, Sugar Land, Katy, Missouri City, Texas area. Browse other items in the Freedom Foam Encased PT collection from Rooms Furniture in the Houston, Sugar Land, Katy, Missouri City, Texas area.